"GREENSBORO, NC – Whether it’s Star Trek or Star Wars, Marvel Comics or DC Comics or even popular video games – fans all over the world have been making short films about their favorite characters since the dawn of the internet! 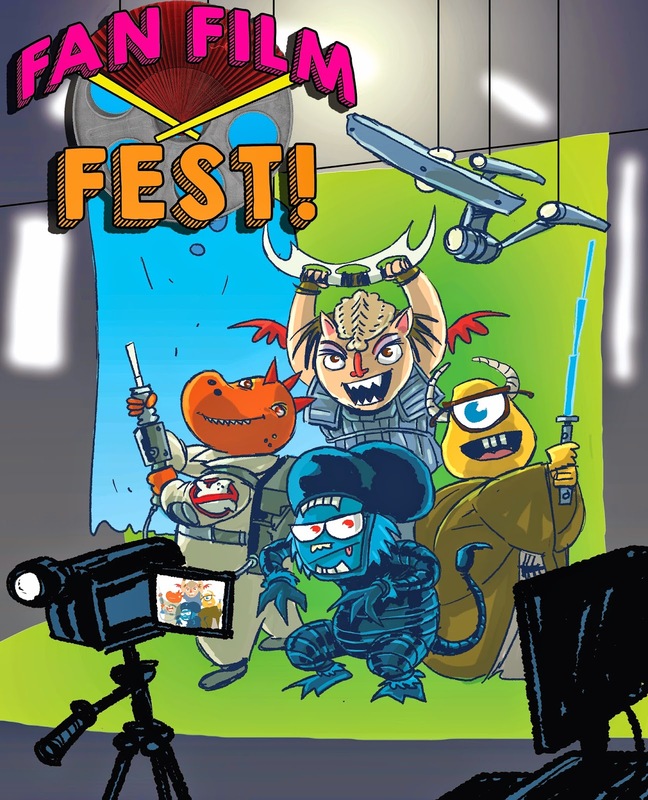 So on May 1st through 7th, Geeksboro & ACME Comics will finally give these “Fan Films” their moment of movie theater glory when they present the first-ever Fan Film Festival as part of their week-long Free Comic Book Day Celebrations! More than 10 masterfully created live action and even animated short fan films from around the world will be screened as part of the festival. This 85-minute presentation will play daily at 12 p.m. and 7 p.m. Tickets are only $4 each! Geeksboro will allow audience members to select awards for the following categories: Best Live Action Fan Film, Best Animated Fan Film, Best Acting, Best Special Effects and Best Costumes. This year’s nominees include the locally produced short film “Self Defense with Solid Snake.” Inspired by the popular “Metal Gear” video game series, the live-action short was produced by Beat Down Boogie, a production company co-owned by Greensboro native Blake Faucette. Geeksboro and Acme Comics’ First Annual Fan Film Festival was curated and produced by Kristin Mehaffey, Junior Events Coordinator at Geeksboro Coffeehouse Cinema. Other nominees include films inspired by Ghostbusters, the video game Starcraft, Alien, and more. Geeksboro Coffeehouse Cinema is located on 2134 Lawndale Drive at the Historic Lawndale Shopping Center. For tickets or more information, visit www.geeksboro.com or facebook.com/geeksboro."